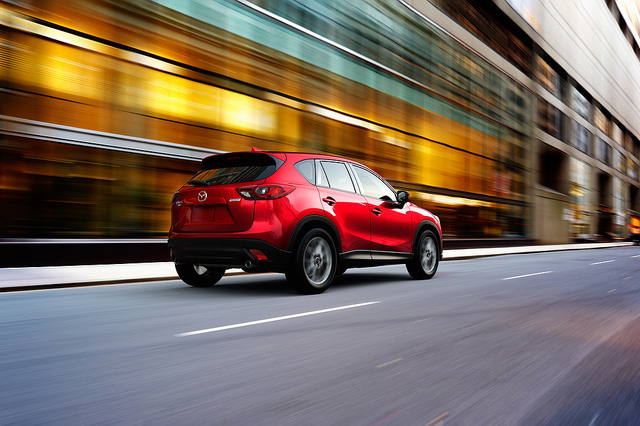 Mazda’s most recognizable road car is harking back to its roots. With its more recent versions, the 2016 Mazda MX-5 has gotten a little bit bigger and a little bit more complex. Now, however, Mazda has decided to go back to what made this car so special to start with; simplicity and above all, fun. The new MX-5 brings both of these in a new, and yet old package called the Miata. While most new versions of cars always get bigger and heavier, the new MX-5 is actually substantially lighter than its predecessor as well as trimmer. It also replaced a lot of electronic parts and gizmos with simple, yet refined mechanical engineering. The smaller of your two engine choices produces a 0 to 60 time of 8.3 seconds with a top speed of 126 mph and, wait for it, 47.1 mpg. The gear changes are all incredibly smooth and the steering is knife-like precise. So mechanically, it marches to the tune of its grandfather’s drum. While this may be true there are some critical areas that differ from the old to the new. For instance, we think the looks of this new version are simply stunning. And at the end of the day, looks are a huge part of buying a sports car. 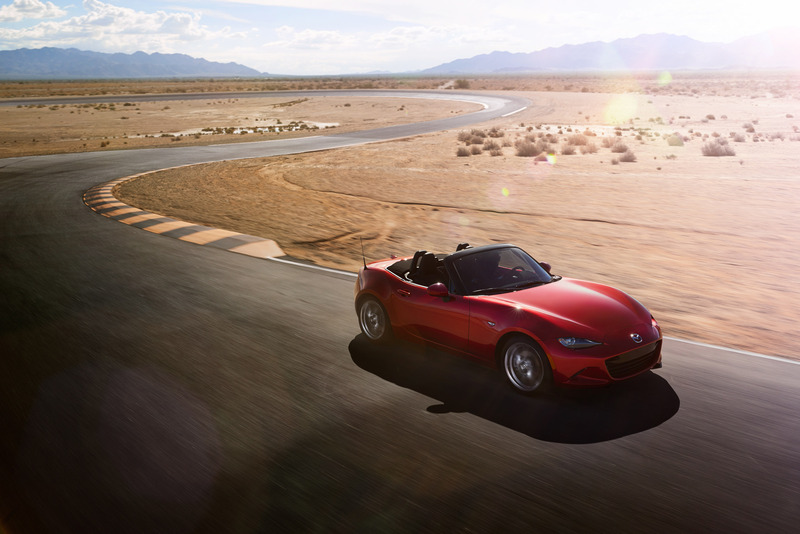 Overall, the 2016 Mazda MX-5 Miata’s features and its performance make it one of the coolest cars in the market and here at El Dorado Mazda, we couldn’t be more excited. Ever since 1997, London-based artist Gerry Judah has delighted fans at the Goodwood Festival of Speed in West Sussex, UK with sculptures that usually feature different types of race cars. 2015 was no different. This year, Judah created a 40 meter high tower that features the Mazda 787B and the LM55 twisting straight up into the air on a track of steel beams. The 787B won the Le Mans race in 1991 which sent it into the record books as the only Japanese car ever to win. On the other hand, the LM55 vision Gran Turismo car is actually a replica based off of the same car in Gran Turismo 6, the 6th installment in an iconic Playstation racing simulation game. For the sculpture itself, 418 white, solid steel bars were used as the racetrack that spirals vertically into the air. The foundation was actually buried three meters into the ground to provide structural support. Laid end to end the metal bars would be a little more than a mile long! Here at El Dorado Mazda, we can think of no better tribute to Mazda’s rich heritage of racing and driving innovation that the Mazda sculpture at Goodwood portrays.